We rely on advanced game development technologies such as Cocos2D-x, Unity3D & HTML5 to develop exciting iOS games. For iPhone Game Development & Support, hire us! Hire iPhone game developers for quality mobile gaming apps. We provide game development, designing, programming, UI & UX design services for iPhone. Every element of the game is focused to deliver a comfortable environment, attractive visuals & sound quality. 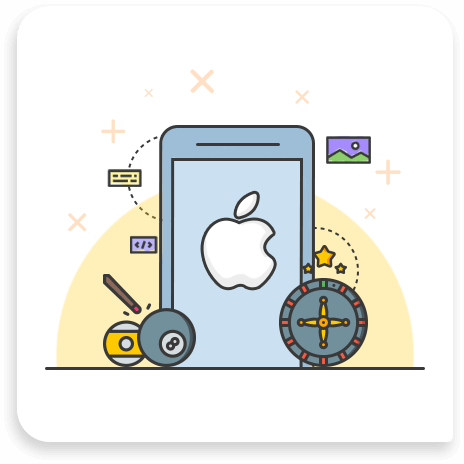 We have employed skillful iPhone developers that use Objective C, iPhone SDK, Cocoa Touch/OpenGL ES and Xcode IDE for developing iOS games. We delivered more than 100+ games for iOS that deliver a desktop-like experience. A variety of iPhone games have been developed in education, cards, sports, endless & more genres. Many of our games for iPhone, iPod & iPad are featured in the App Store.